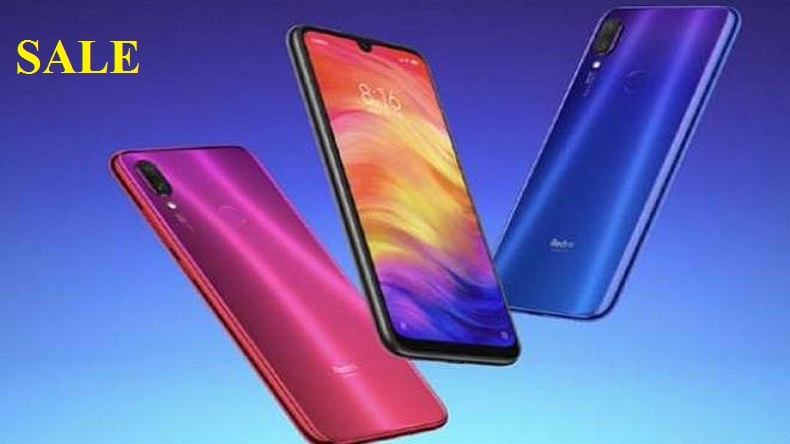 Redmi Note 7 Pro, Redmi Note 7 go on sale in India today from12 pm via Flipkart and Mi.com. Only the 4GB RAM + 64GB storage version is on sale. The Redmi Note 7 Pro, Redmi Note 7 sale offer will bring you up to 1,120GB data along with unlimited calling through Airtel network alongside various Airtel Thanks benefits and many more get details inside. Xiaomi Redmi 7 Pro and Redmi Note 7 will go on sale in India today. Both the smartphones were launched in the country back in February and went on sale for the first time later the next month. Only the 4GB RAM + 64GB storage version is on sale. Now, the Xiaomi Redmi Note 7 Pro 6GB model, which also comes with 128GB of storage, the sale will begin from12 pm via Flipkart and Mi.com. The biggest highlight of the Redmi Note 7 Pro is it’s 48-megapixel primary rear cameraSony IMX586 sensor, 1.95mm narrow bezels on both sides, Corning Gorilla Glass 5 protection, 6.3-inch FHD+ display, Qualcomm Snapdragon 675 processor under-the-hood, up to 6GB RAM, Snapdragon 660 SoC at only Rs. 19,999/-.The Xiaomi Redmi Note 7 Pro has been made available in Neptune Blue, Space Black, and Nebula Red colour options. The Redmi Note 7 Pro, Redmi Note 7 sale offer will bring you up to 1,120GB data along with unlimited calling through Airtel network alongside various Airtel Thanks benefits. Reliance Jio subscribers are also entitled to receive a double data offer through recharges of Rs. 198 and above. The price in India is set at Rs. 13,999 /- for the 4GB/ 64GB model, while its 6GB/ 128GB variant is priced at Rs. 16,999/-. The phone comes with a 6.3-inch full-HD+ (1080×2340 pixels) display along with a 19.5:9 aspect ratio. Under the hood, the Redmi Note 7 has an octa-core Qualcomm Snapdragon 660 SoC, paired with 3GB and 4GB RAM options and with dual nano sims. The camera is set up along with a 12-megapixel primary sensor that comes with an f/2.2 lens and a 2-megapixel secondary sensor. For selfies, there is a 13-megapixel sensor at the front. The camera supports AI Portrait mode and has features such as AI Beautify (4.0), Face recognition, HDR support, and AI scene detection to recognise up to 12 scenes. There is a fingerprint sensor at the back. The Redmi Note 7 packs a 4,000mAh battery that supports Quick Charge 4.0. There are also 32GB and 64GB of inbuilt storage options that both are expandable via microSD card (up to 256GB).